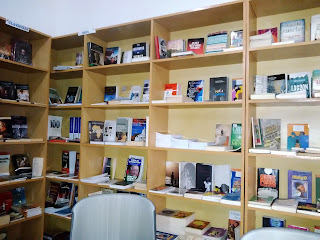 Some writers and book publishers in Nigeria may not be aware of the Legal Deposit Law of Nigeria, which requires that three (3) copies of any book published in Nigeria be deposited with the National Library of Nigeria. There are benefits to authors and publishers who make this deposit. We bring to you all you need to know about the Legal Deposit Law in Nigeria as issued by Prof. Lenrie Olatokunbo Aina, the National librarian and CEO of the National Library of Nigeria. The Legal Deposit law in Nigeria has its origin in the 1950 Publications Ordinance which gave the University College Ibadan library and the Secretariat Library in Lagos the right to collect two copies each of every book published in the country. The National library act was passed in 1964 and later reviewed in 1970 with emphasis on deposit obligations and bibliographical functions. The Act No. 29 of 1970 applies throughout the country and has supremacy over any library laws of state government in the event of jurisdictional conflicts. WHO DEPOSITS WHAT NUMBER OF COPIES? What is to be deposited? a. All literary works such as books, pamphlets, sheets of music, maps, charts, tables and compilations. c. Collective works such as encyclopedias, dictionaries, yearbooks, newspapers, magazines and periodicals. d. All forms in which documentary or oral records are published. This means legal deposit is also for non-book materials, home videos, films, cassettes etc. and even electronic publications. e. The best copies of each publication should be deposited. i. Preservation of the intellectual output on future generation. ii. Bibliographic control of the nation’s publication. iii. Listing in the National Bibliography of Nigeria, which is circulated through the world. iv. The publisher’s name will be listed in the publishers' directory section of the National bibliography of Nigeria, which many authors and organizations including libraries consult. v. The legal deposit copy is the only authentic copy accepted by the law court in case of litigation.